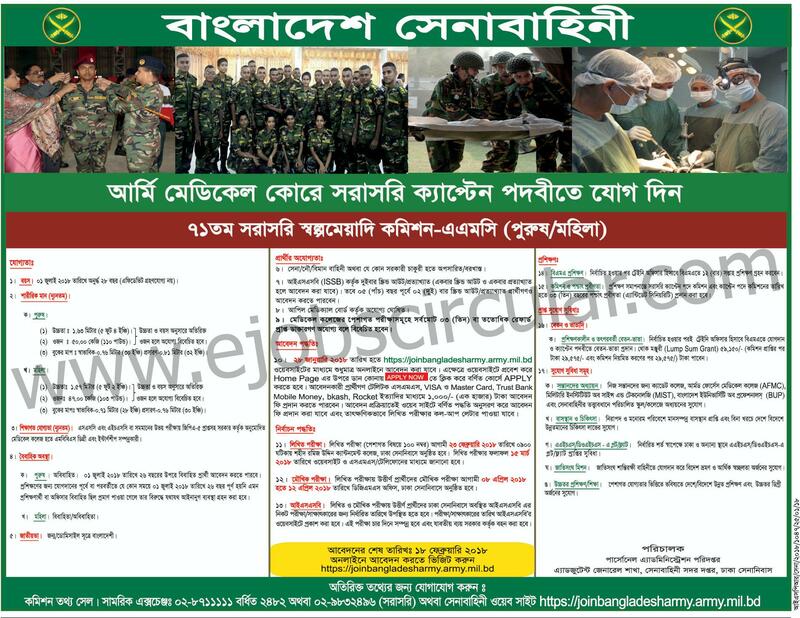 Recently Bangladesh Army Job circular Published at www.joinbangladesharmy.mil.bd . 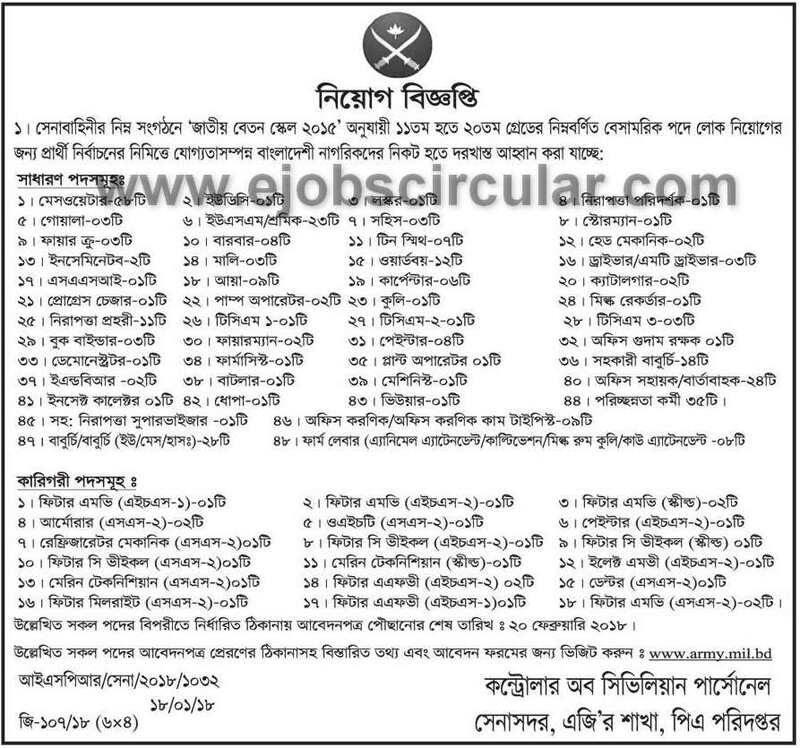 Bangladesh Senabahini job Circularalso update by . 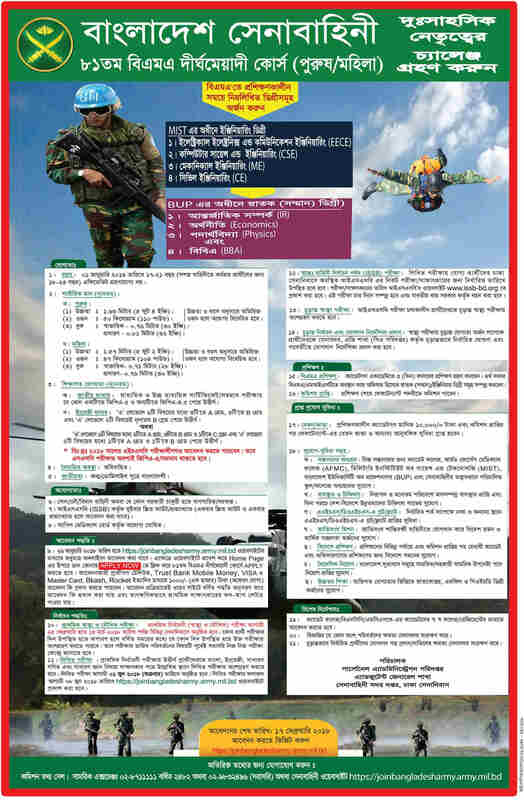 Army Jobs Circular in Bangladesh published by join Bangladesh army official website. In Few days ago they noticed new jobs vacancy on there website. 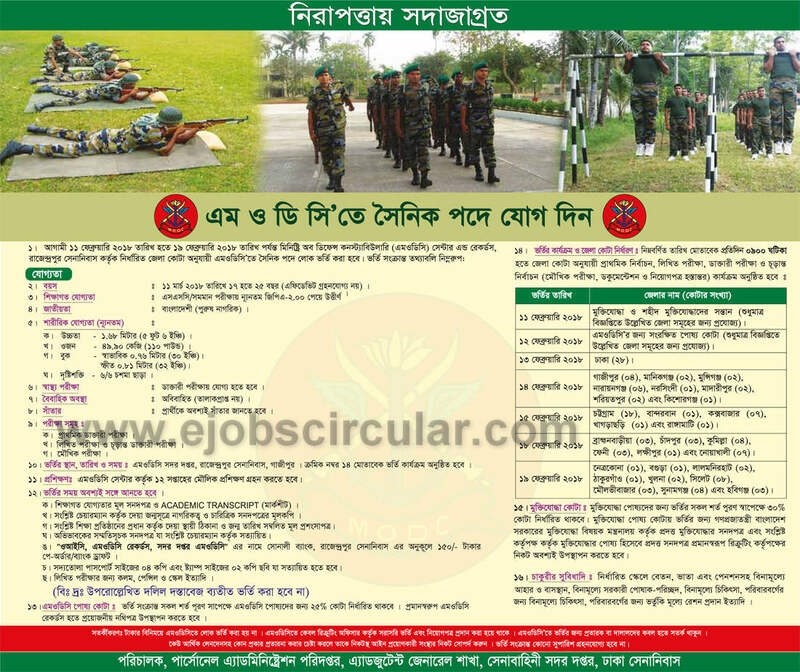 Now this Army jobs circular original Notice also update by our website. Let`s check your bd army jobs short information . Reminder : You must apply this Army jobs before 17,18,20 February 2018. Application Last Date :17 and 18,20 February and 10 March 2018.